If the glass influences the perceived characteristics of a wine, this is three times truer for the cup in that it influences not only the way in which the senses approach the beverage but also the physical status of the beverage itself: the temperature and the way in which the components of the cream surface. All these aspects have been kept into account during the experimentation to which the Tasters Study Centre has participated for the part on sensory analysis while Forever has dealt with technical issues. The New Taster Cup has been designed to optimise its performance in all stages of its use, not only from the point of view of tasting but also to support the barista in preparing a perfect espresso. The external shape of the New Tasters Cup is designed in a way which makes it difficult to stack it in more than two rows. This is how all the cups reach the optimum temperature which is necessary to keep the gustative equilibrium of the beverage. Even the barista who does not know it will naturally follow this simple rule, thus automatically eliminating a frequent mistake made during preparation. The internal shape of the cup materially influences the formation of the cream. Actually it is mainly made up of fibres and fats which are in the coffee: when the espresso drips from the spout to end up in the cup, the convective movements inside of it make these components, along with the aromas of the coffee, surface. A flat or cone-shaped bottom hinder these movements, which are on the contrary favour by the elliptical interior. The New Taster Cup is designed to optimise this stage which gives a finer and more persistent to the sight cream with greater formation of the prestigious stripe-effect and with a more powerful aroma. In the New Taster Cup an internal mark indicates the optimum extraction level for the espresso: 25 millilitres. 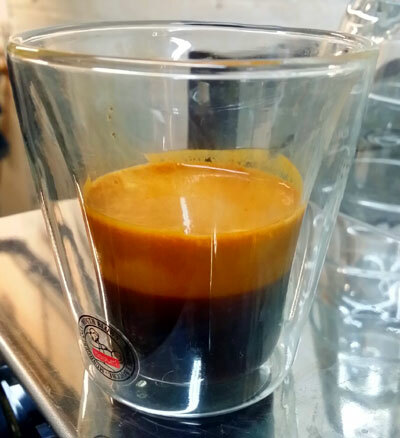 Not only no more short or too watered espresso but it also makes it easier for the barista to regulate the grinding: fixing extraction at 25 millilitres in 25 seconds is an easy criterion to avoid mistakes of over-extraction or under-extraction, burning the coffee or not extracting enough its aromatic or tactile potential. The internal mark makes this easier allowing the barista to keep the correctness of the grinding and of the pressing monitored at each extraction. In order to correctly assess the colour of the cream of the espresso, the cup must be white inside. The super-white porcelain with which the New Taster Cup is made is something new on the Italian stage, to the extent that if you put it next to the traditional cups the latter look grey and opaque. The perfect and brilliant white of the porcelain make the most of the reflections of the cream of a good espresso and of the brightness of its surface. This is not nothing, given that consumers makes assessments especially with their eyes. Following a trend from tasting glasses designed for wines, the New Taster Cup weights 27% less than the previous model. This conveys a sensation of greater elegance and makes it easier to hold the cup thus allowing the taster to better focus on the sensations. 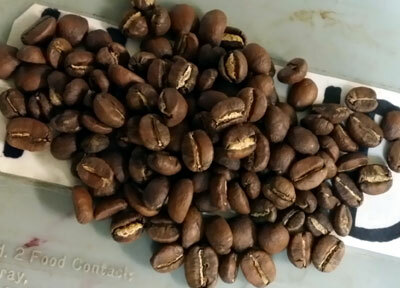 The reduced weight does not mean that the New Taster Cup is thin to the point that it does not ensure that the right temperature is maintained. 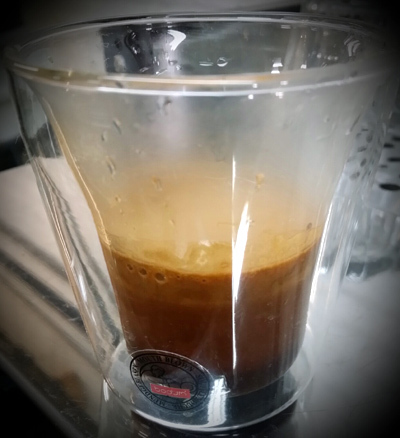 The secret is in the varying thickness, greater towards the bottom where the espresso is contained and lower towards the top with which the lips come into contact. This makes it possible to fully exploit the non-conductive nature of the porcelain, an excellent thermal insulating material, without making the lips feel a sensation of thickness. Just as with wine glasses, also the cup must not be filled up to the edge: it is necessary to leave enough room at the top, meaning room for the aromas to set free from the liquid and concentrate in the air so as to be directed towards the nose. More room at the top allows for the aromas to become wider: this is the reason why in the New Tasters Cup it has been increased by 10%. This, together with the internal shape of the upper part of the cup, makes it possible to better perceive certain aromatic notes. Even when the tasting phase is over, the way in which the cup is treated is important for the correctness of the following assessment. A critical aspect of the hygiene of the cup is the bottom: if it is not adequately designed, there is the risk that the washing-up powder from the dishwasher might pile up. The detergent then drips on the border when the cup is removed from the dishwasher and placed on the cup warmer. The New Taster Cup features some grooves designed to make any residual washing powder flow away completely. The data clearly show that the same espresso, tasted in the New Taster Cup, appears to be nicer than when tasted in the previous model, with an Edonic Index of 7.70 vs 6.78. The reasons for this lay in a number of factors: first of all, the appearance of the cream, the colour of which shows out better in the super-white porcelain. At a tactile level, the espresso has more body, due to the cream being formed in an optimal way and to volume control, which optimises extraction. The bitterness is less sharp and the aromas are valued, especially the prestigious spicy notes ranging from rhubarb to liquorice and which convey a precious note to the sensations persisting in the mouth. The New Taster Cup highlights huge differences compared to the previous one also at the level of the visual and tactile impact of the object itself. The colour strikes more than the previous one and makes it stand out compared to the more wide-spread cups. Overall, it’s more elegant and stylish even if its shape can still be defined as classic, It’s deemed to be more modern and ‘cheerful’. At the touch, it gives more pleasant sensations due to its being lighter. It’s easier to hold, the shape and the surface have been improved. Finally, its border conveys a sensation of enhanced fineness to the lips. Despite the fineness, use at the coffee shop too is recommended. The espresso taken at the coffe shop is one of the few products of the ‘Bel Paese’, Italy, associated with the idea of pleasure that you pay for all the same, be it good or bad. Actually, its price depends more on the geography – in the South of Italy it is cheaper – than on the degree of pleasure it can give. Hear this out: two coffee shops in the Loreto area in Milan; both nice and rather big in size. The first one is Bar Gatto, with tables outdoors. I step inside an there is a sparkling counter behind which is a shiny Faema positioned in a way that makes it possible for the barista never to turn his back on the clients. I ask for a coffee and promptly the barista prepares it with the machine. I am not able to fully see the operations he is performing but it seems to me that he is doing things professionally. Here comes the first surprise: after having finished his job he comes round to me and says: “Listen, I prepared two cups because I will drink one myself, just choose the one you like most”. Believe me, for a second I thought I was not really in Milan. I give a look at the two espressos, in one of them there is a white spot – the same old story: the two exits of the filter-holder never give you two identical coffees – and so I go for the other one. Nice hazel-shade creamy froth with a fine texture, the smell is flowery. To the palate it is silky, with a fine balance between bitter and acid and then it develops a complex aroma in which you can distinguish the toasted bread, the cocoa, dried fruit and nuts. I ask for the name of the blend because I cannot possibly spot it: Prestige by Covim. I say that the coffee is nice, sit there and chat for a while and then I pay: € 0,80. I carry on my tour in the various coffee shops looking for the sort of quality in the espresso that has been defined by the International Institute of Coffee Tasters and shortly after I walk in another elegant coffee shops with an attractive name: Bar del Corso. Once again, the staff is polite. I start speaking about the price of a cup of coffee in Milan, a very popular topic at the time. They guarantee they will not increase it till the moment the supplier will increase the price of the blend. I ask for a coffee and immediately the bar tender removes the filter holder from a nice Cimbali, he fills it with a strong stroke, he presses it with energy, he wipes any coffee grounds off the rim of the filter, he fastens it and observes the coffee while it pours in the cup and stops the machine at the right moment. No doubts that he knows what he is doing and he is professional. He hands the coffee over to me and I observe it. The colour of the creamy froth is right but the texture is rather coarse. The notes of straw, dry grass and wet earth are clear to the nose. To the palate, it is thick and has a good body but as you swallow it the tongue becomes rough and the interior of the cheeks wrinkles. With regard to sensations perceived at the back of the throat, the notes are just the same notes perceived by the nose but even stronger and more annoying. I pay for it: € 0,90. I keep in my mind the name of the blend: Hardy. I then head to the following bar but I am accompanied by an astringent sensation that does not want to leave my mouth. 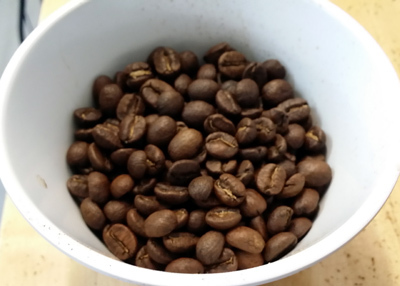 I hope I will be able to find something better but I no longer want to have any more coffee and I am afraid I will not be able to be a fair judge for the sample I will taste. You are currently browsing the archives for the Sensory Analysis category.